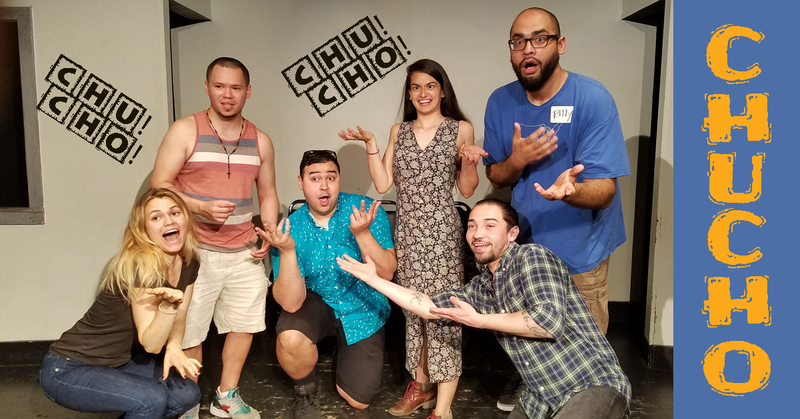 CHUCHO is an Latinx improv team that regularly performs throughout NYC. CHUCHO has trained at Magnet Theater, UCB, iO, WIT, Groundlings, Dojo Comedy, Theater 99, and the mother-loving PBCC (Palm Beach Community College), y’all! CHUCHO has performed around the country and in Canada where they were called "an international tour-de-force" by a close friend. CHUCHO loves improv as an art-form and they love playing together as a family. Their active push for diversity in comedy is what originally brought them together and sharing their comedic/cultural sensibilities is what keeps them going! ¡CHUuuuu-CHOoooo! CHUCHO is Alex DaSilva, Kevin Kiernan, Patricio Machuca, Xavier Padin, Billy Soco, and Melissa Ulloa.